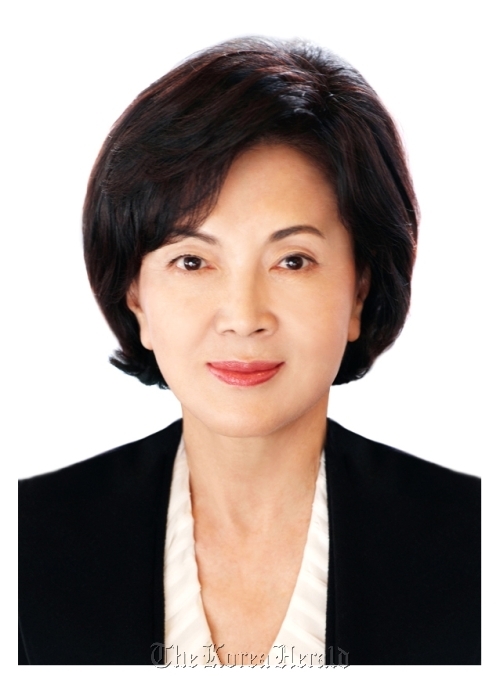 Hong Ra-hee, wife of Samsung Electronics Chairman Lee Kun-hee, recently returned to her post as director of Leeum, Samsung Museum of Art. Hong resumed to the post on March 16 and attended the opening ceremony of “Korean Rhapsody,” an ongoing exhibition at the museum, on the same day. “She planned to return in time for the Korean Rhapsody exhibition. But then the earthquake hit Japan and the overall mood was heavy so we just decided to hold no special speeches or event,” said an official at Leeum. Hong did not make any remarks on her return or give a speech as the museum director at the ceremony. Hong resigned in the aftermath of a Samsung scandal in 2008, which resulted in a three-year suspended jail term for Hong’s husband who was charged with tax evasion. Lee stepped down from the chairmanship of Samsung Group in April 2008 but came back as Samsung Electronics Chairman in March 2010. The director post had been left vacant during Hong’s absence. Hong Ra-young, Hong’s younger sister, had run the museum as its deputy director. Hong Ra-hee majored in applied art at Seoul National University and gained experience as a museum art director in 1995 at Ho-am Art Museum in Yongin, Gyeonggi Province. The museum was established by Samsung founder Lee Byung-chul, Hong’s father-in-law, in 1978. Hong established Leeum in 2004. The museum, which reflects Hong’s contemporary taste in art, has one of the biggest collections of contemporary art in Korea. It is also a treasure trove of ancient Korean art, including several national treasures. Hong had maintained her standing as one of the most influential figures in the local art scene even during her three-year absence.